I’ve had comments left such as ‘vom vom’, which my friends and I actually get a personal kick out of. We’ve had down right ugly things left that wouldn’t even be appropriate to repeat here, some of them from other bloggers even. I mean, my Mama taught me that if you don’t have anything nice to say, don’t say anything at all– keep scrollin’ people. Apparently there’s something about hiding behind a keyboard and a screen that makes people brave. One would hope it would make them brave in a positive way, to uplift others- but that hasn’t been our experience. So let me just insert here a plug about bullying. Bullying is bullying, whether you’re behind a computer screen or not. If ya don’t like something, move on and just don’t come back. Me thinks that’s pretty simple, right?! Let this be your last warning. If you’re an unhappy person who doesn’t like stories accompanying the odd recipe or so, scroll on. Otherwise, let’s get into the nitty-gritty. We’re a family who loves meatballs. 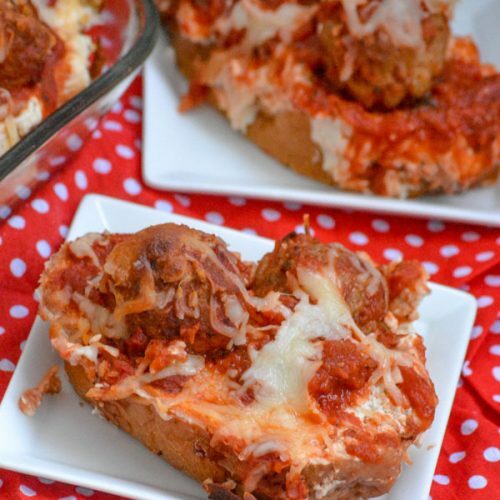 Do you love meatballs? 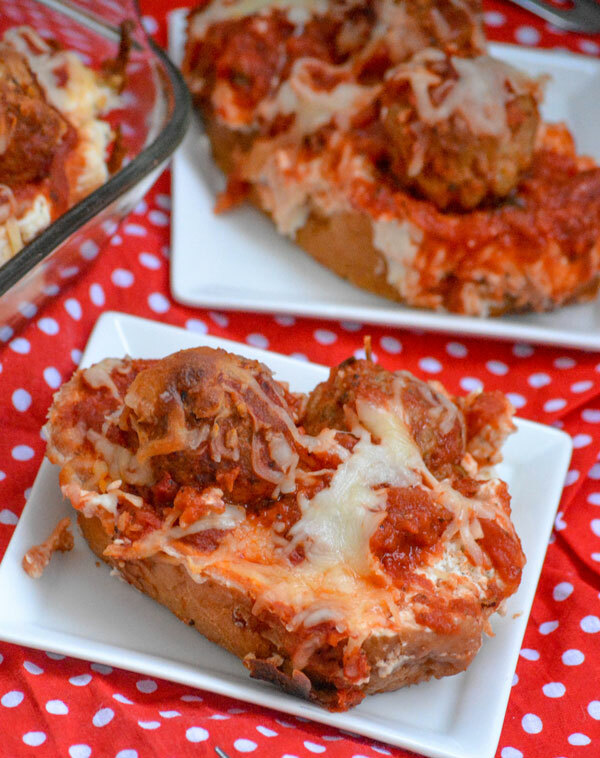 Raise your hand if you love meatballs as much as we do?! Dinner doesn’t get much better than it ever did with a classic sub sandwich. 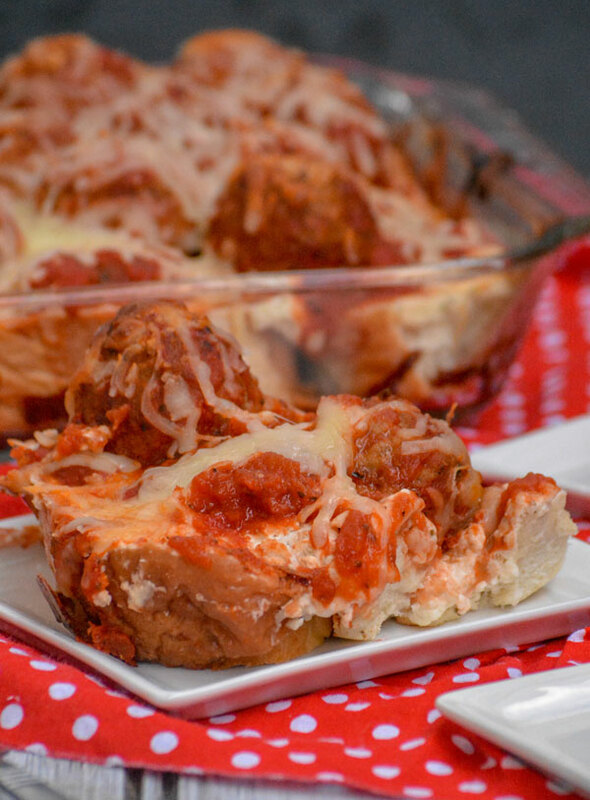 There’s nothing more classic around there parts than the age-old meatball sub. 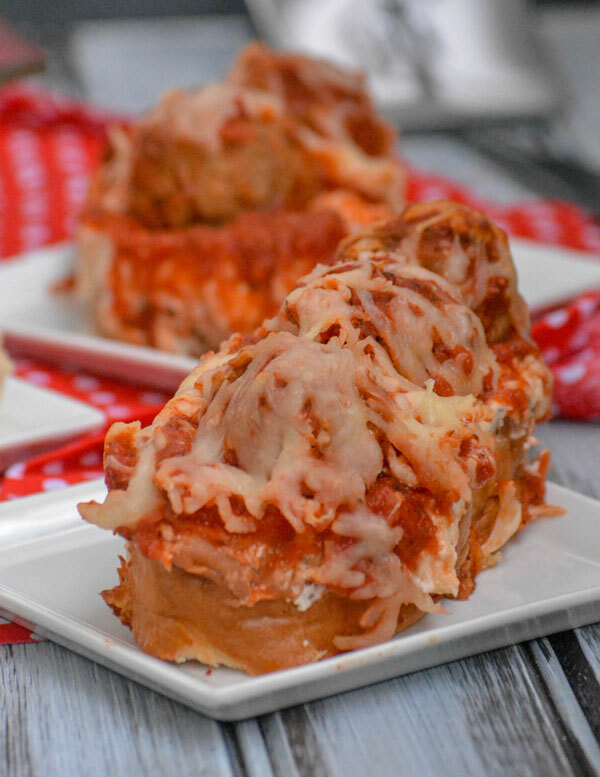 A fluffy bun stuffed full of massive meatballs smothered in a heavenly tomato sauce, topped with a hearty sprinkle of melted mozzarella. 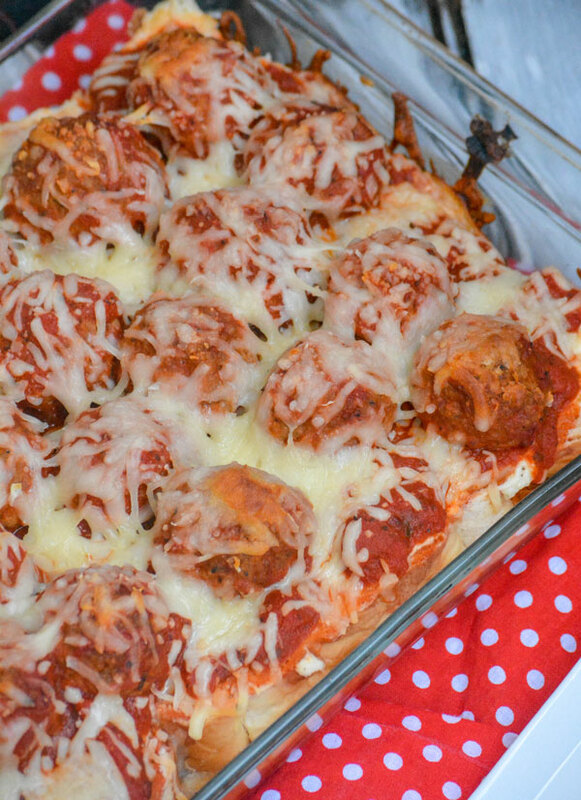 This Meatball Sub Sandwich Casserole is exactly what it says, and more. It’s the yummy promise of a delicious meal. Yes, there will still be mess. 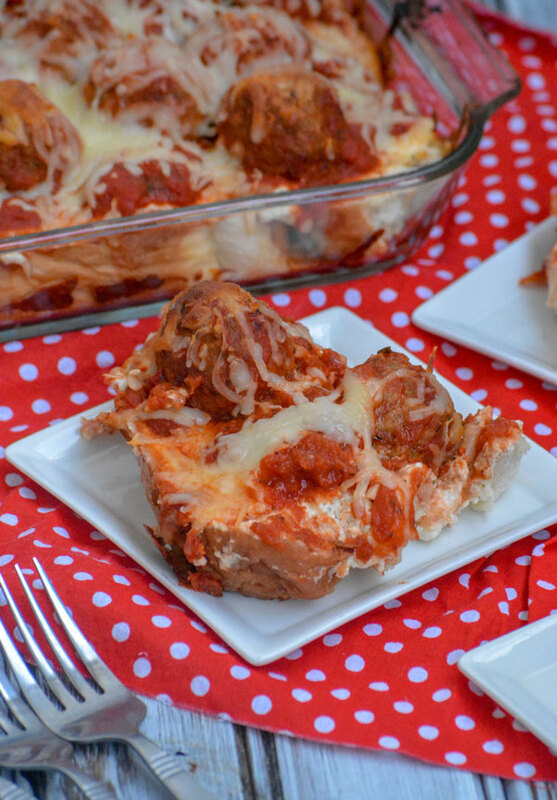 Skip most of it though with this one dish casserole! 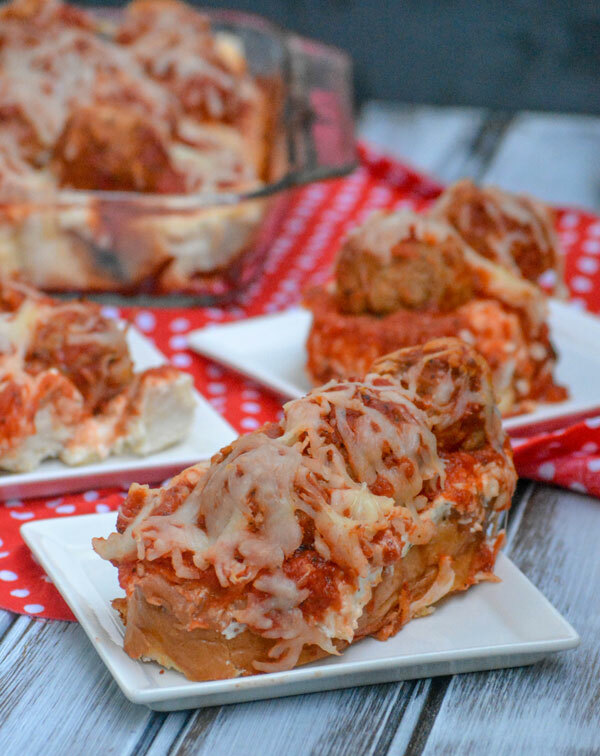 Other Similar Recipes You Might Also Enjoy: Cold Cut Bundt Pan Sub Sandwich, Pesto Alfredo Meatball Subs, Chicken Bacon Ranch Sub Sandwiches, & Homemade Spaghetti & Meatball Garlic Bread Sub Sandwich. Lightly spray a 9x13" casserole dish with non stick cooking spray. Arrange the bread slices evenly out in the baking dish, breaking up extra pieces to fill in any gaps. In a small mixing bowl, add the cream cheese, mayo, and Italian seasoning. Stir the mixture together until evenly incorporated. Spoon the cheese mixture over the bread in dollops until it's all used. Use a spatula, or the back of a spoon, to spread the cheese mixture evenly out over the bread. Sprinkle the 1/2 cup of Parmesan evenly out over the top. In a separate mixing bowl, toss together the meatballs and the sauce until well coated. Spoon the the meatball mixture evenly out over the casserole, including all sauce. Sprinkle the remaining cheese evenly out over the top. Bake the casserole at 350 degrees for 30-35 degrees, or until golden brown & bubbly.